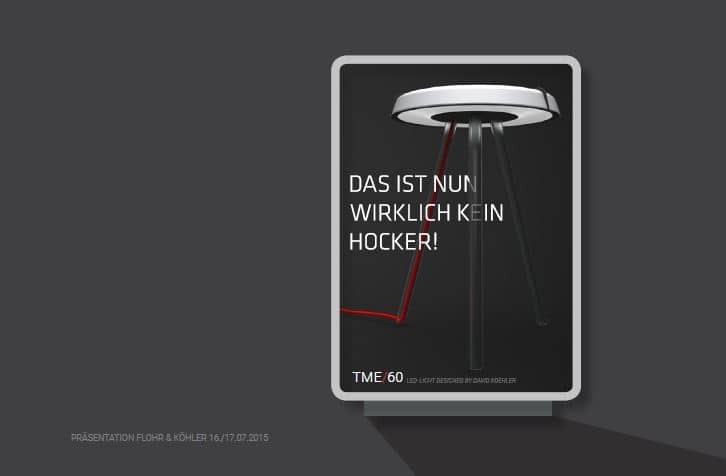 Der Lampenschirm mit 60 LEDs ist drehbar gelagert und wird über einen händischen Impuls aktiviert. Die Leuchte wurde mit der Software Arduino konzipiert und reizt dadurch zu Interaktionen. 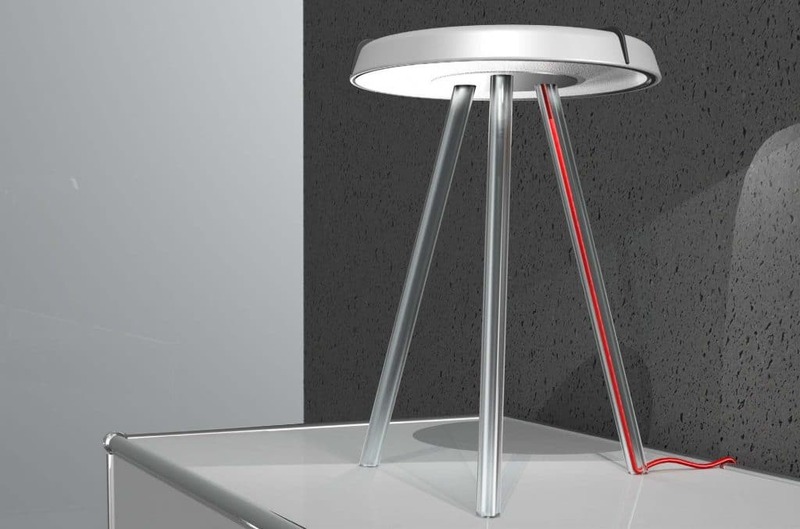 This interactive lamp designed with Arduino Software helps reduce energy consumption. 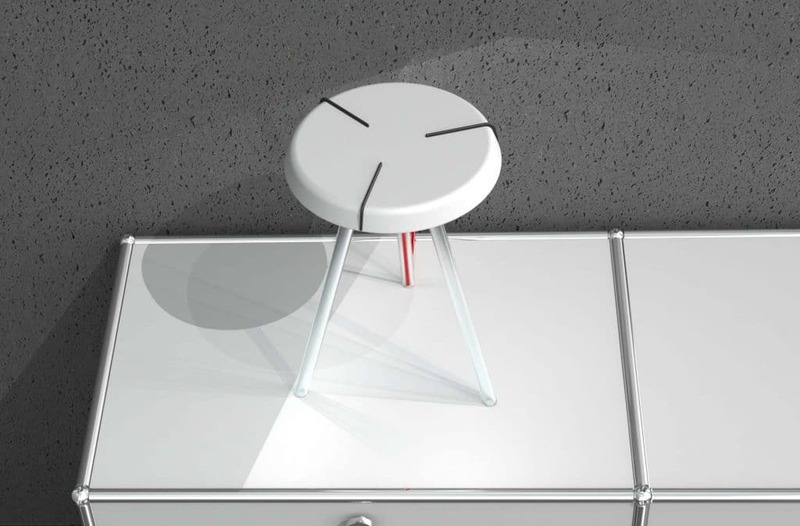 The rotatable top of the lamp contains 60 LEDs that are activated by touch, which switch off automatically in the absence of movement around them.